It’s the biggest movie out of China of all time and yet it’s so familiar to anyone who watched a big, bombastic action movie from the 80s or 90s out of Hollywood. But who says you can’t adhere to that formula, in 2017? Kenny B chats solo about Wu Jing’s Wolf Warrior II and also flashes back to 90s synch sound Hong Kong cinema and what was considered the telltale sign of Mainland Chinese cinema at the end of the millenium in the form of The Road Home. 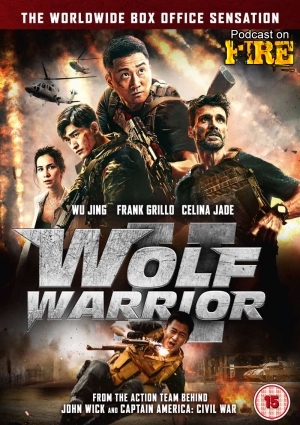 Wolf Warrior II is out now on dvd, digital, regular and limited edition Blu Ray from Cine Asia. Big thank you to Mike at The Warrior Agency and Cine Asia for providing the screener for review.